Discipling new generations is a Phil Knox talk recorded at Spring Harvest - 2018 on Discipleship available as MP3 Download format. Every generation needs Jesus and every generation has its challenges and opportunities in embarking on the discipleship adventure. 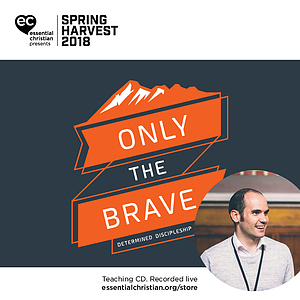 This seminar with Phil Knox explores the cultural and digital landscape of young people and young adults and speak creativity and hope into those seeking to raise a new generation of disciples. Be the first to review Discipling new generations a talk by Phil Knox! Got a question? No problem! Just click here to ask us about Discipling new generations a talk by Phil Knox.